The pick is in, and Ha Ha Clinton-Dix will be wearing #21 for the Green Bay Packers this upcoming season! The From The Benches gang give you their immediate read-and-react to this surprise pick for Ted Thompson as only they can! 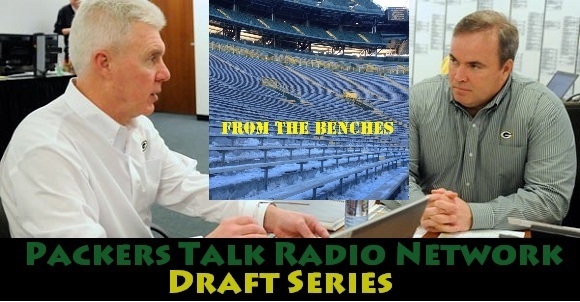 From the Benches is a part of the Packers Talk Radio Network, serving up enough weekly podcasts to satisfy the most fervent of Packer fans. Follow us on Twitter, Facebook, and subscribe over at iTunes. From The Benches is one of the family of podcasts from the Packers Talk Radio Network, featuring hosts Jacob Westendorf, Ross Uglem, and Ryan Hillesland. Follow us on Twitter, Facebook, and subscribe over at iTunes. From the Benches: Where in the World is Jermichael Sandiego ? This entry was posted in From The Benches, Packers 2014 - 2015 Season and tagged 2014-15 season, Ha Ha Clinton-Dix. Bookmark the permalink.